Hedger Constructions are Victoria’s multi-award winning custom home builders. 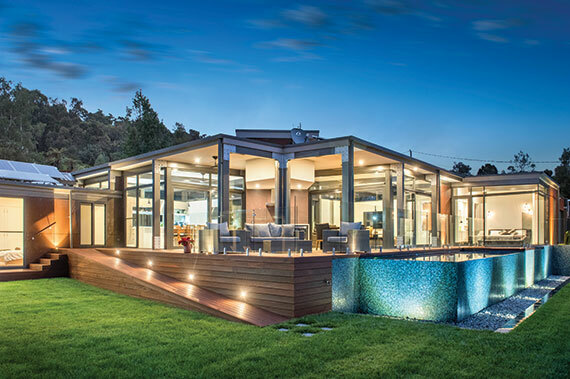 Specialising in architect designed and luxury custom home construction, we’re redefining modern living with homes that transcend the traditional. With industry leading sustainable building practices, we create unique, energy efficient and innovative homes with outstanding craftsmanship. 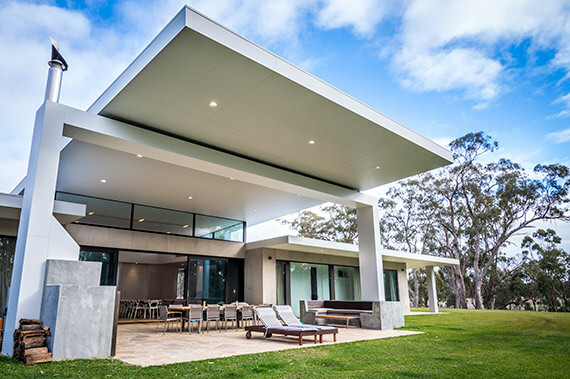 Hedger Constructions are the leading custom home builders servicing metropolitan Melbourne, North East Regional Victoria and the wider Yarra Valley region. Our team of Master Builders craft modern, bespoke homes, tailored to your individual requirements. We pride ourselves on working with each client to create a custom solution to suit your site, lifestyle and budget. As a full-service builder, Hedger Constructions offers an extensive suite of services, from planning, design and material choice, though to construction and selection of fixtures, fittings and finishes. Our collaborative approach creates homes which have been tailored to fit your unique brief and combine luxury with versatility and functionality. Hedger Constructions are also a trusted name in energy efficient builds, construction of architect designed homes, commercial projects, knock down rebuilds and large house extensions. As a company, we love watching the satisfaction and enjoyment our constructions have brought to so many clients over a significant period of time. We invite you to share in our experiences. Hedger Constructions has been providing exceptional, award winning, custom home solutions since 1998. Our desire to achieve total client satisfaction is reflected in the excellence of our workmanship and the quality of our construction. With extensive experience constructing bespoke custom homes, Hedger Constructions is the trusted partner to help realise your building dream. Hedger Constructions works with challenging sites, sloping blocks and existing landscapes to deliver innovative designs that are in harmony with the local environment. As qualified MBAV Green Living Builders, Hedger Constructions are skilled in the design, construction and maintenance of high quality structures that adopt industry best practice for sustainability in the built environment. Our industry leading experience in the construction of energy efficient builds and eco homes has been recognised with both HIA and MBAV awards. 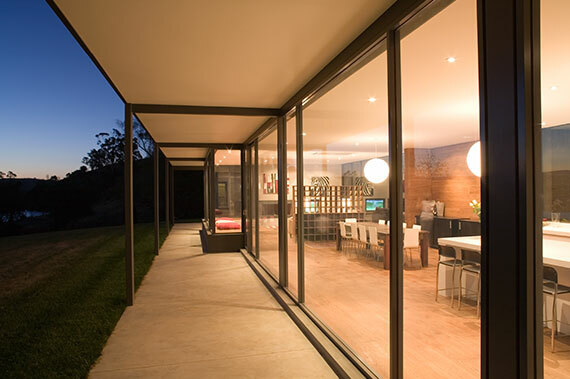 With experienced building teams located in regional Victoria and Melbourne, Hedger Constructions is positioned to service the north east Victoria, the Yarra Valley, Greater Melbourne and Melbourne CBD. From luxury home builds nestled amongst regional Victoria’s countryside, to compact townhouse builds in Melbourne’s suburbs, our home builders lend their experience and expertise to projects of all sizes and ensure your new home is built to the highest standard. Hedger Constructions has built a reputation for positive building experiences for its clients. With a total package from design though to turn of key, clients enjoy a professional, personal and rewarding relationship based on quality and excellence in craftsmanship and a commitment to deliver a project of which everyone can be most proud. As one of Victoria’s most prestigious award-winning building companies, Hedger Constructions are proud to have received 30 Master Builders Association of Victoria Awards in seven different categories. Named the MBAV Regional Builder of the Year in 2016, 2011 and 2008, Hedger Constructions are widely recognised as innovators and leaders in custom home construction and sustainable design. We also received the MBAV Best Sustainable Home for the North East in 2015, underpinning our reputation as leading eco builders with environmentally conscious approaches to custom building. Our awards history speaks for itself and reflects the outstanding craftsmanship and positive client relationships which are a cornerstone in all of our constructions. At Hedger Constructions, we create bespoke custom designed homes from concept to completion. From the initial introduction we can provide planning and design assistance. We will be with you every step of the way, consulting and communicating with you throughout the build, to ensure complete satisfaction when we hand you the keys to your dream home. We build homes as unique as you are, so we don’t have a standard set of inclusions. 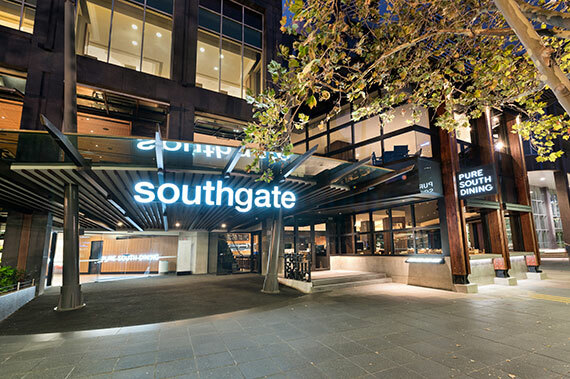 We work with you to determine the optimum inclusions based on your site, desired level of fit-out and budget. Our expert team can provide clients with custom designed, bespoke joinery solutions and coordinated fittings, fixtures and material palettes to reflect your individual style. Hedger Constructions provides innovative custom home solutions for challenging sites. We’re experienced in creating practical home designs to maximise the potential of sloping blocks and create homes which are in harmony with existing landscapes. The cornerstone of Hedger Constructions is exceeding client expectations both in craftsmanship and service. Each and every project is important to our team, from renovations and extensions to complex sustainable home builds. When you choose to build with Hedger Constructions, you receive attentive services and responsive communications throughout your entire build. You’re involved and consulted at every step, ensuring that your home build is exactly how you envision it.